The advent of the Internet meant the beginning a new era in information technology (IT) security. Now more than ever, organizations need to protect their operations from risks of intrusion, the leaking of critical information, transmission of viruses, breakdowns and power overloads likely to result in lost data or damaged facilities. Although IT security includes a quite vast field of applications, we provide every client with the opportunity to find a solution tailored to their needs, through the solutions, training programs and professional consulting services that we offer. To deal with threats of any kind, Xelys uses the best computer security tools, performs scheduled and spot checks on your facilities and makes sure that your team members are informed adequately about potential threats likely to affect the security of your installations. Xelys can audit the security of your computing infrastructure and submit a report complete with recommendations. Our clients often view the Internet as the single potential source of intrusion. 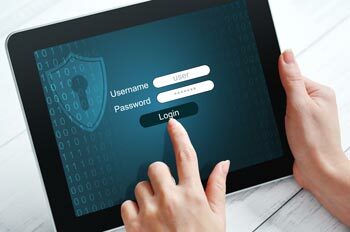 Attempts to intrude on your computer facilities can come from the Internet as well as within your own organization. Intrusions can be targeted, like in cases of industrial espionage or information leakage. They can be impersonal and cause serious problems likely to affect your operations. Intrusion from within your own organization is a phenomenon actually quite widespread. To protect your systems against this type of intrusion, we offer comprehensive solutions ensuring the full security of your internal installations and controlled access to information. With tools at the cutting edge of technology and cleverly planned surveillance activities, we can control the inputs and outputs of your computer networks and provide you with all the information you need about their use. In recent years, computer viruses have become increasing security threats and risks of infection are on the rise. Nowadays, computers can be infected simply when browsing the Internet, without even downloading files. Spam— unwanted emails that can infect your communication tools— represent a real threat to the security of your IT infrastructure and remain a phenomenon in full fledge. Relying on our expertise and highly effective tools, we can implement within your organization extremely effective security and email filtering systems, without compromising the performance of your computer facilities. Your technology assets can be protected by implementing multiple complementary protection solutions, restricting access to confine propagation and increasing staff training to better identify potential threats. As the labour force is more rapidly transferred within organizations, data protection through computer access control has become a major security issue. Given the investment required to maintain computer systems operational and to date, it has become more vital to limit and control the risk of users modifying the configurations of organizational computer systems and prevent compromising the appropriate operations of their work tools. Xelys has the right expertise to implement controls and measures to protect your computer systems. We can limit computer access and modifications to your computer system and data as you wish to ensure enhanced protection. 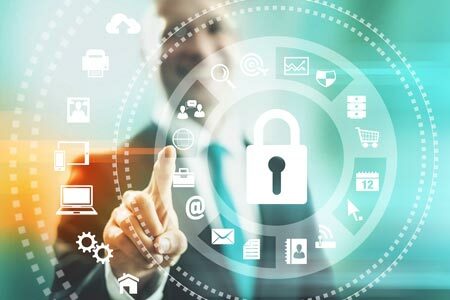 Now that your technology facilities are becoming increasingly essential to your operations, it is vital to ensure the ongoing safeguard of both your computer data and overall infrastructure. Xelys relies on the expertise you need to ensure the safe backup of data and computer installations. In addition, we can respond quickly in the event of disaster, such as server breakdown, theft, fire or flooding to restore your infrastructure without undue delay. As specialists in the latest technologies, we can supply a data backup plan combined with a contingency plan for your overall IT infrastructure. Depending on the selected solution, we help ensure business continuity, regardless of the type of breakdown or disaster affecting your operations. Our cloud backup solutions lower risks of human error and represent recovery site solutions in the event of problems, while ensuring full business transparency. The proper power protection of your installations is essential. Major power fluctuations might disturb or damage your computer installations. We offer centralized solutions that protect your installations from power fluctuations and record all power and temperature fluctuations to document your situation and allow you to respond to incidents with full background knowledge. A computer emergency plan is no luxury nowadays. Computer systems are increasingly complex and more external resources are involved in the maintenance of computer systems. Therefore, it is important to bring together all the resources to provide management with a clear picture of potential risks of breakdown, anticipated duration of interruptions, and incidental costs. We can evaluate precisely the strengths and weaknesses of your technological infrastructure and point out in detail the actions to undertake if identified critical situations were to occur. Based on the development of an emergency plan, we can also make recommendations to overcome the weaknesses of your IT infrastructure. Organizations can no longer afford to interrupt their operations during several hours. Costs have become too significant, not to mention impacts on corporate image and delays in production. To address this issue, we supply contingency solutions for every need and budget. The first level of protection is redundancy. The purpose is to double the elements most likely to fail. The second level of protection consists of an emergency disaster recovery (DR) plan. It involves scenarios such as major breakdowns and disasters. Within a context of emergency recovery, the maximum time needed to recover access (even if corrupted) to IT services and critical organizational data has to be determined. The third level of protection is a high availability (HA) plan. Similarly, it involves scenarios such as major breakdowns and disasters within, however, a context of high availability. We make sure that access to IT services and critical data is recovered instantaneously. Xelys can help your organization determine the right level of protection to suit your needs and, as a second step, integrate an infrastructure that meets your contingency needs. As a result, a proactive rather than a reactive operations emergency plan means savings for organizations and reduced financial, production and customer service losses.